President Donald Trump has taken to Twitter to blast Hillary Clinton's earlier comments in which she blamed misogyny, FBI, Russia and herself for her 2016 election loss. President Donald Trump has taken to Twitter to blast Hillary Clinton’s earlier comments in which she blamed misogyny, FBI, Russia and herself for her 2016 election loss. Clinton reflected earlier Tuesday on the presidential contest during the Women for Women International’s annual luncheon in New York. While accepting an award from Planned Parenthood, Hillary Clinton says there’s still much to do to advance the rights and opportunities of women and girls. Clinton told a crowd of more than 1,000 Tuesday night at a New York fundraiser marking the 100th anniversary of the organization that such work is “the great unfinished business of the 21st century.” She added that on some days, it seems even more unfinished that we’d hoped. During her speech, Clinton called for expanded access to preventive services at Planned Parenthood, and for increased access and affordability of family planning, including long-acting reversible contraception. At an earlier event in New York, Clinton took responsibility for her 2016 election loss, but also said that she believed misogyny, Russian interference and the FBI played roles in it. Hillary Clinton says she is taking responsibility for her 2016 election loss but believes misogyny, Russian interference and questionable decisions by the FBI also played roles. 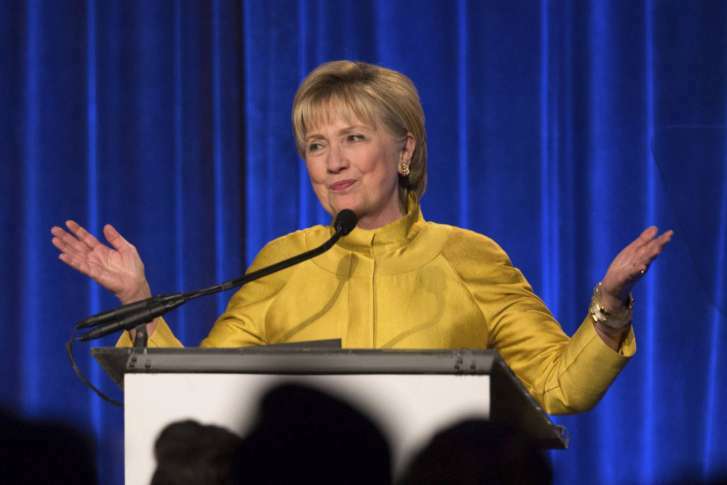 The former Democratic presidential nominee reflected Tuesday on the presidential contest during the Women for Women International’s annual luncheon in New York. Clinton said she was “on the way to winning” until a combination of events in the final days. She cited the FBI director’s letter to Congress resurrecting questions about her email practices and WikiLeaks’ repeated release of her campaign’s internal emails that “scared off” people. She also said misogyny “played a role in this election,” won by Republican Donald Trump. Watch Hillary Clinton’s speech in the video below.